Update: 12:52 p.m. PST. The death of Chris Cornell has been ruled a suicide by hanging, the Wayne County Medical Examiner’s Office said in a statement on Thursday. It’s with sadness that I write that singer/song writer Chris Cornell was found unresponsive and soon declared dead. “At 12 a.m. [local time], we received a 911 call from the MGM Grand Casino Hotel,” Detroit Police director of media relations told Variety. “It appears as though a family friend was checking up on Cornell at his wife’s request. He went to hotel and discovered him unresponsive on the bathroom floor. Police made the location with EMS, and he was pronounced dead at the scene. Soundgarden were the first band from the 80s Seattle music scene to sign with a major record label. And while their impact was not immediately felt, they did pave the way for those other bands that did experience instant success. At this same time, another band was poised to make a splash. Mother Love Bone was making waves but the unfortunate death of their singer Andrew Wood forced them to disband. Wood was a very close friend of Chris’ and his death inspired the excellent rock document Temple of the Dog by the band of the same name. Members included two from MLB who went on to form Pearl Jam. 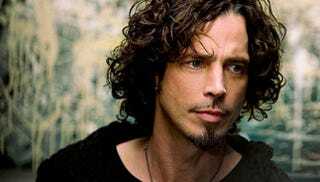 Written almost entirely by Cornell, the album is a tribute to his lost friend and was successful in its own right with songs like Say Hello to Heaven, Times of Trouble, Pushing Forward Back and the hit Hunger Strike ironically help promoted the rising popularity of Pearl Jam, but not Soundgarden. Still, its a healthy collection of songs worthy of praise. The album Badmotorfinger’s attack of metal heavy coupled with alternate chord progression established a signature sound for the band which distinguished them from the other Seattle groups. But it wasn’t until the release of Superunknown that the band did enjoy a stay in at the top of album charts with a more mainstream sound with songs like Spoonman and Fell on Black Days. They had their only top 10 hit in Black Hole Sun. It should be stated the final track on this album is called Like Suicide. The song - its rumored - is about a crow that flew at the window of his bedroom, mortally wounded but not dead, Chris killed it. Some years later, as a result of the break up of Rage Against The Machine and the hiatus of Soundgarden that lead to the formation of Audioslave. Comprised of Tom Morello, Tim Commoford, Brad Wilk and Cornell, they also made some great music. Cornell made the decision to release a solo album Scream which was not well received by fans. But the thing people didn’t realized about him is he always had a desired to put out mainstream music. Listen to All Night Thing and Call Me a Dog from TOTD and you can hear and R&B sound. Its just masked by a Seattle musicians sensibilities. He was an artist wanting to do different things with his creativity. Soundgarden had gotten back together a few years ago, put out some records and were touring with a show at Detroit’s Fox Theatre on Wednesday night when this tragic event happened. But without question, it was Chris Cornell’s monster voice what gave each song that definable impact. If you listen to any of his music today or any day after, listen to it with the volume turned up loud.